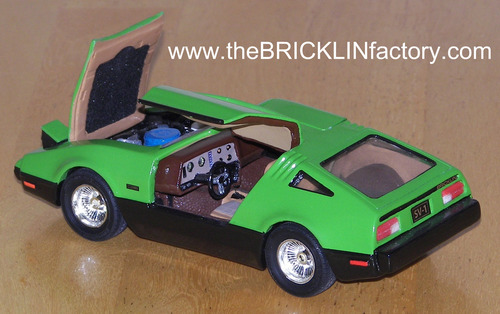 Since I first introduced 2nd series model Bricklins back in the spring of 2004, there have been several updates. I've given the carpeting area of the interior a textured surface. I've redesigned the hood and hood extension to more accurately represent the `power bulge.' I've redesigned the body to show the raised trim at the belt line that separates the black from the safety color. 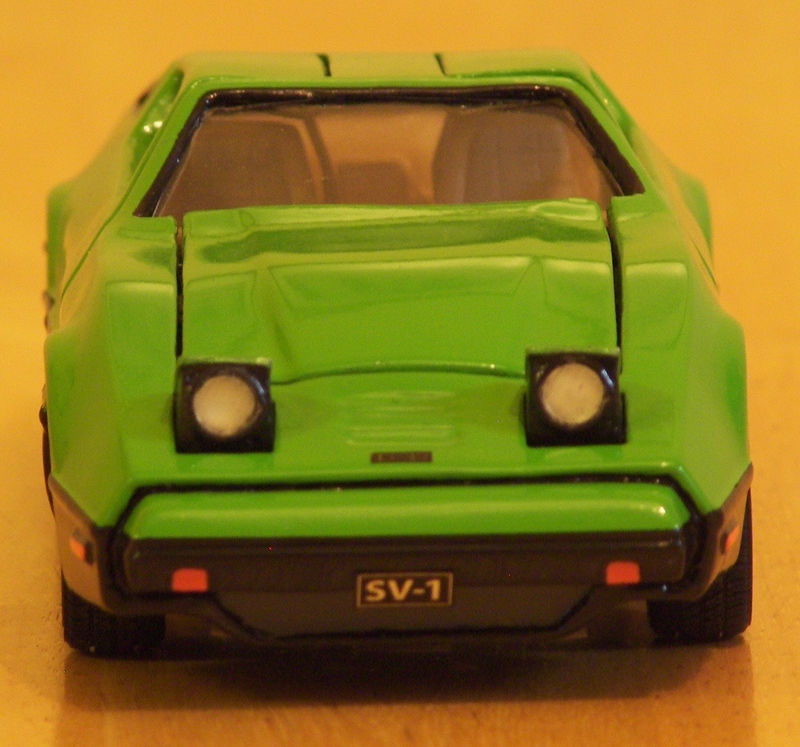 I've raised the corner marker lights so that they stand out in relief. I've designed in the groove in the front bumper that separates the black from the safety color. I've created taillight lenses that look more authentic - and revised the rear of the body to accomodate them. I redesigned the under side of the hood to look more authentic. I redesigned the inside of each door to show the trim panel on the upper portion. I modified the dashboard to accomodate the windshield wiper motor and have more realistic dashboard gages. My most recent updates are numerous: First, I've designed headlight doors that open and close and I've changed the body and chassis to accommodate them. Secondly, I've completely redesigned the engine compartment, giving it substantially more detail than before. 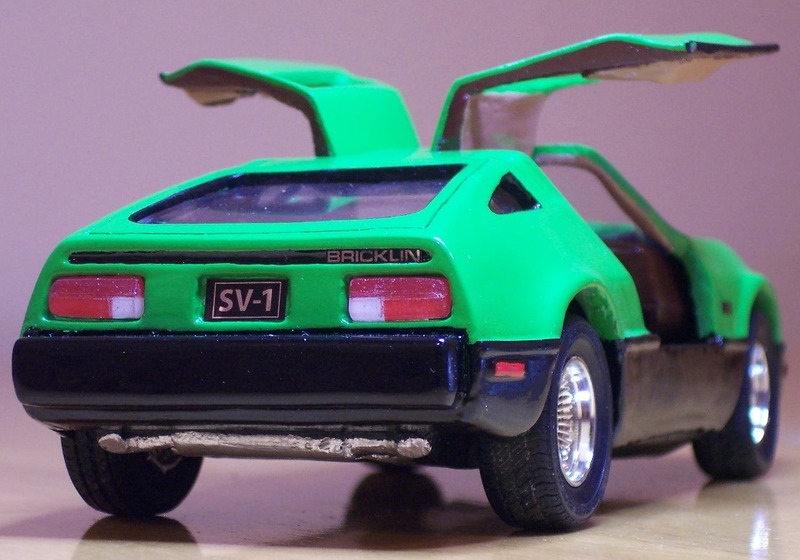 Two minor changes include a slight redesign making the rear window almost flush with the body when glued in place, and I've finally designed in the horizontal crease that runs the length of the black body panels under the doors.